Dr. Alan Ned Sabrosky, an expert author on military and foreign policy matters, is making big waves in the 9-11 truth community with his interviews in which he says that he is 100 percent certain that 9-11 was a Mossad operation carried out to usher in the War on Terror. The invasions and occupations of Iraq and Afghanistan have resulted in more than 60,000 U.S. casualties (dead and injured), Sabrosky said. As the description of Dr. Sabrosky (born 1941) taken from his 1989 paper entitled, «Of Smoke and Mirrors: Grand Strategy by Commission,» he has very good credentials to support his thesis. Dr. Alan Ned Sabrosky (Ph.D., University of Michigan) is a military affairs writer and consultant. He was formerly Director of Studies, Strategic Studies Institute, and also holder of the General of the Army Douglas MacArthur Chair of Research at the U.S. Army War College. A Marine during the Vietnam War, he has taught at West Point and is a 1986 graduate of the Army War College. He has published ten books and monographs and over 80 articles and reviews on defense and foreign policy. In Dr. Sabrosky’s interview with Kevin Barrett on March 30, he explains how he came to the conclusion that Israeli intelligence had carried out 9-11. The show can be listened to via the clickable link below. For Dr. Sabrosky to be supporting my thesis is a very positive development for the 9-11 truth movement and very good for me personally. To have a person with the experience and credentials of Dr. Sabrosky confirming my thesis that Israeli military intelligence carried out 9-11, a controversial thesis I have investigated and developed since September 2001, is very encouraging. Many people may now come forward and say that they have known this all along, but I can say that this has been a very unpopular position, which has usually been ignored in the 9-11 truth movement. I have, however, be able to present my thesis and discuss the evidence of Israeli involvement in 9-11 in conferences across Europe and the United States. 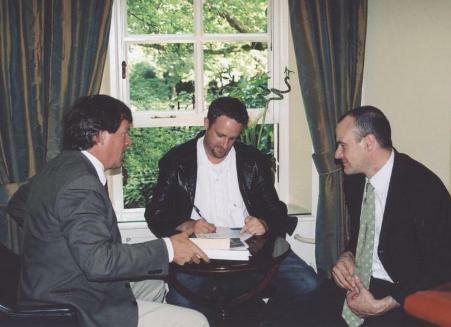 During the 9-11 Truth Tour in Europe in May-June 2005 (funded by Jimmy Walter), I was the only person who spoke about the evidence of Israeli involvement in 9-11. I was also the only person on the tour who was censored because my thesis was so controversial. In Vienna, Jenna Orkin from New York succeeded in keeping me from speaking by threatening Jimmy Walter and the local promotional agency that the whole Vienna show would be shut down if my «anti-Semitic» views about 9-11 were expressed. Orkin had tried, unsuccessfully, to keep me from being part of the European tour. I have been excluded from most so-called 9-11 truth events because my research has yielded findings of fact that were unacceptable for those who organized the events. Israel was a sacred cow. To blame Israeli intelligence for 9-11 was absolutely taboo. The BBC interviewed me in London 2005 and asked me why I was the only journalist who did not believe the official version of 9-11. Later, in 2006-2007, when I was brutally attacked and TASERed by a three-man undercover tactical squad at my home – on my property – not a single U.S. newspaper or media outlet supported me or even covered my case with any sense of fairness. I was maliciously prosecuted for having assaulted the three heavily-armed men who invaded my property and resisting arrest. After a very corrupt legal process I was found guilty of both misdemeanor charges in June 2007 and faced the very real possibility of one year in Chicago’s notorious Cook County Jail. At that point we realized that we could not negotiate with criminals and terrorists and were forced to leave our happy home and go into exile. 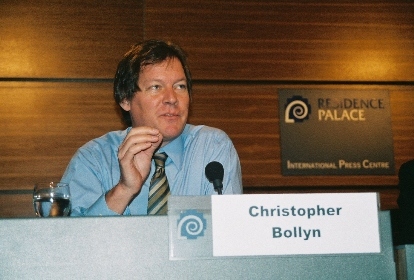 Christopher Bollyn at the Cook County Court in August 2006. Rather than discuss my plight, CNN tried to smear me as an anti-Semite on the Paula Zahn show the night before my trial. The Chicago Tribune and local paper did the same. Although I had appealed to Senator Barack Obama, my Congressman, and every member of the Illinois Supreme Court for judicial fairness, not a single word of support came any of them. Most telling was the response from organizations that are supposedly dedicated to supporting the rights of journalists. Although I contacted every single one of them, not one of them was interested in the Bollyn case. How can it be that an American journalist is brutally attacked at his home – in front of his 8-year-old daughter and wife, is TASERed while in handcuffs, with two men on top of him and unable to move a finger, and has his arm broken by undercover police in the middle of the United States – and no newspaper, television station, or journalist organization is concerned? This is just part of the price I have paid for my writing, and this is why Dr. Sabrosky’s revelations are so important to me. Maybe, God willing, my family will finally be able to go home again. 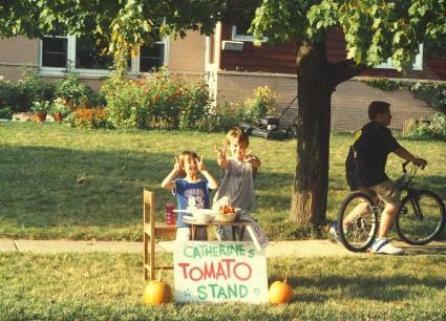 The Bollyn kids in their yard. The heavily armed three-man undercover tactical squad - who refused to identify themselves - invaded the Bollyn home, attacked, handcuffed, and then TASERed Bollyn on the spot where the lawnmower is seen. The loss of their home has been very hard on the Bollyn kids. I was on «The Morning Liberty Show» with R.J. Hender on Tuesday, March 2, 2010. The show aired from 7-9 a.m. Central Time on the RBN website at: http://republicbroadcasting.org/ I will post a link to the archived show as soon as one is available [Here, and here]. We discussed a range of subjects, including the Mossad killing in Dubai and Israel’s attempts to foment war in the region. The Zionist war strategy is part and parcel of the 9-11 cover-up orchestrated by the high-level Israeli agents in the U.S. government and judiciary, namely Michael Chertoff, Kenneth Feinberg (Special Master of the 9-11 Victims Compensation Fund), and U.S. District Judge Alvin K. Hellerstein. To avoid more war in the region it is essential to understand the strategy of the Zionist extremists — and the people behind it. 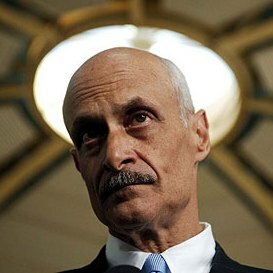 Israeli citizen and son of a Mossad agent, Michael Chertoff, from his perch at the Department of Justice, oversaw the confiscation of 9-11 evidence and non-investigation by the F.B.I. Kenneth Feinberg (center), Special Master of the 9-11 Victims Compensation Fund, distributed some $7 billion in unaccounted payouts to prevent the families of the victims from seeking justice and discovery in U.S. courts. Feinberg’s wife, Dede (nee Diane Shaff, on left), is a member of the board of governors of the Jewish Agency, the original parent organization of Zionist terrorism, the state of Israel, and the Mossad. Caroline Kennedy is on the right. 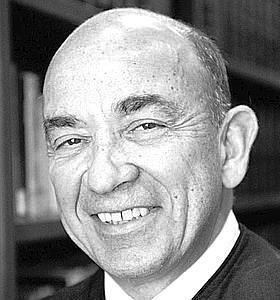 Alvin K. Hellerstein, U.S. District Judge for New York City, manages the court proceedings for all 9-11 tort litigation. After more than 8 years not a single case has gone to court and all but one or two cases have been settled out of court. Hellerstein is a dedicated Zionist whose son lives on an illegal Jewish settlement on the occupied West Bank. Bollyns bok «9/11-koden» er utgitt av Askehaug og kan lastes ned gratis her. Israel’s plan to swallow Palestine has reached a peak… its project is to wipe Palestine from the map… an escalation rather than a settlement is looming in the region. The fresh Israeli aggression against the sanctity of the al-Aqsa mosque, and the attacks on worshippers by the Israeli security apparatus, represent the latest in a series of Israeli escalations over the past few weeks… they show that [Israel] is determined to escalate and even expand the conflict. The US silence shows that ongoing attempts to resume negotiations have stalled and that those might have to wait until after a new Palestinian intifadah or even war. The Mossad has been at it again: The recent assassination of a Hamas military leader in Dubai looks conclusively like the Israelis’ handiwork. No doubt, they hoped for a little more anonymity in the aftermath–they likely didn’t expect the Dubai authorities to be quite so technologically competent…Either we are complicit or we are not–there’s no ethical halfway zone in the matter of targeted assassinations. Dubai’s Police Chief Lt. Gen. Dhahi Khalfan Tamim identifies eleven of the 27 known suspects wanted in connection with the killing of a Hamas commander, Mahmoud al-Mabhouh, in a Dubai hotel room. Tamim has called on Mossad Chief Meir Dagan to own up to his crime or deny Mossad’s involvement in the murder. 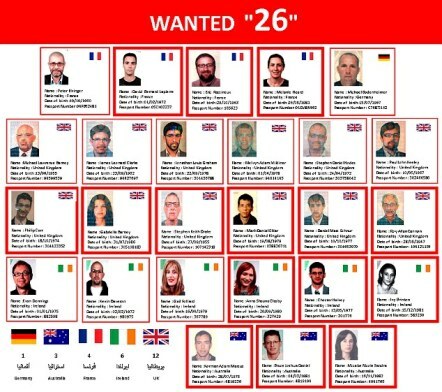 A list of 26 Israeli Mossad agents wanted for the murder in Dubai – At least two of the suspects sought by Dubai police for the murder of Mahmoud al-Mabhouh reportedly entered the U.S. shortly after the crime. One of the Israeli suspects entered the U.S. on February 14, carrying a British passport, while the other, with an Irish passport, entered the U.S. on January 21. Mabhouh’s body was found in a Dubai hotel room on January 20. Will the Department of Homeland Security track down the Israeli killers in the United States? There are lessons to be learned from the murder of a Hamas leader in Dubai. The information provided about the murder of Mahmoud al-Mabhouh by the authorities of Dubai has shown the world that their police force is technologically competent and professional. 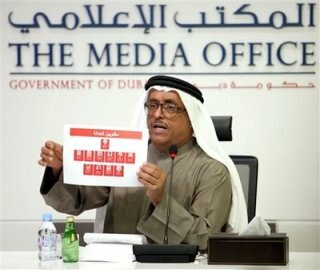 The detailed information provided by the police of Dubai about the suspects involved in the al-Mabouh murder is the result of a police investigation using normal procedures, yet it is far superior to any of the information provided by the FBI about the 19 alleged terrorist hijackers of 9-11, who have been blamed for killing some 3,000 Americans. Are the police of Dubai that much more competent and professional than the FBI or is there another reason why U.S. law enforcement seems so incompetent when dealing with Israeli crimes? The murder of al-Mabouh is, like the false-flag terror atrocity of 9-11, evidently a crime committed by the Israeli secret service, the Mossad. In both cases there is clear evidence of Israeli involvement. In the Dubai murder case the authorities have come forward with detailed information and begun an international effort to identify and locate the suspects. In the «non-investigation» of 9-11, on the other hand, headed by Israeli citizen Michael Chertoff of the U.S. Department of Justice, crucial evidence was confiscated and destroyed while key terrorism suspects like Dominic Suter and Kobi Alexander were allowed to flee to Israel and were not pursued. Michael Chertoff, son of an Israeli Mossad agent, oversaw the non-investigation of 9-11 in which prime suspects were allowed to flee to Israel and crucial evidence was confiscated and destoyed. The response by law enforcement authorities in the two cases could hardly be more different. Unlike the police of Dubai, when pursuing Israeli criminals the U.S. Department of Justice and the FBI are dogs that won’t bark – or hunt. Why is that? To understand why American Jews are willing to commit and cover-up serious crimes, even treason, on behalf of the state of Israel one needs to understand that most religious Jews in America are first obliged to serve Israel – a foreign state. American Jews are, for this reason, conflicted. Their religion obliges them to make «aliya» and live in Israel but most would prefer to stay in the United States. Hundreds of thousands of Israelis have chosen to leave «the Jewish state» and now live in the United States. While they are unwilling to leave the comfort of the United States and immigrate to Israel (aliya), most religious Jews in the United States feel strongly compelled to support and defend the state of Israel. To fulfill their obligation to the state of Israel, Zionist Jews in America have created hundreds of organizations to raise funds and support for the Zionist state in Palestine. 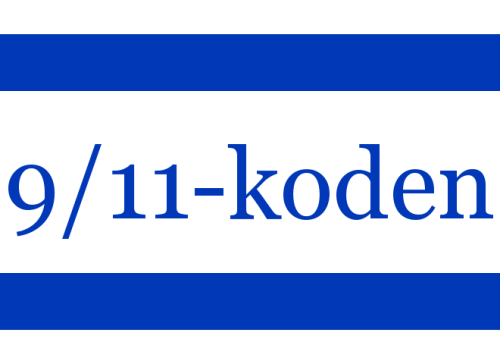 These organizations are consolidated under an umbrella organization called the Jewish Agency. The Jewish Agency and the World Zionist Organization are two parts of the same Zionist enterprise that operates in the United States and around the world. The Jewish Agency was the Zionist organization that became the state of Israel in 1948 when a Jewish state was established in Palestine. The Jewish Agency, then headed by David Ben Gurion, literally became the apparatus of the Zionist state and Ben Gurion became the first prime minister of Israel. The Jewish Agency, headquartered in New York City after World War II, organized and funded the Haganah, the Zionist militia in Palestine, as well as the terrorist groups known as the Irgun and LEHI (the Stern Gang). Using these groups, the Jewish Agency created the Mossad LeAliyah Bet (the Agency for Illegal Immigration) in 1938 to smuggle illegal Jewish immigrants and weapons into Palestine. 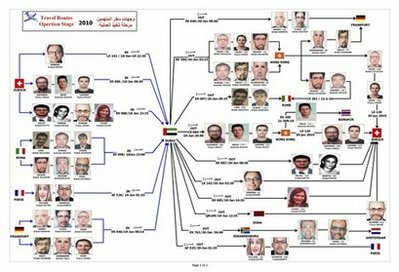 The Jewish Agency and the Mossad worked together to bring many thousands of Jews to Palestine – illegally – from Yemen, Iraq, Egypt, and Europe. The Jewish Agency was the Mossad. The Jewish Agency and the Mossad continued to work together after the creation of the state of Israel to bring Jews to the Zionist state. The hard-line Zionists who run Israel today are actually fighting a losing battle with demographics. The Arab population around them is growing quickly while many Israelis are leaving the Jewish state. The Israeli population has become more Russian, more extremist, and less Western in its outlook than at any time since the founding of the state in 1948. Ariel Sharon, the now comatose prime minister who ran Israel in 2001, dreamed of bringing one million Jews to Israel from the United States. In this effort he worked closely with the Jewish Agency. Kenneth Feinberg was the Special Master of the 9-11 Victims Compensation Fund. He alone was responsible for distributing some $7 billion of taxpayer money to the families of the victims of 9-11. In this he was supported by some 30 lawyers from his law firm and his wife, Diane «Dede» Shaff Feinberg. Diane is also an executive member of the United Israel Appeal and the Jewish Federation of Washington. She also happens to be a member of the Board of Governors of the Jewish Agency – the parent organization of the Mossad. The non-investigation of 9-11 was controlled by Michael Chertoff, the son of an Israeli Mossad agent and an orthodox rabbi. Chertoff oversaw the destruction of the thousands of tons of steel from the World Trade Center – crucial evidence that was shipped to Asian smelters and melted down. While Chertoff destroyed the evidence of 9-11, government appointed doctors prescribed Prozac for the grieving relatives and Kenneth Feinberg began his war of attrition on the 9-11 families. As the sole person responsible for distributing the money from the Victims Compensation Fund, Feinberg paid out nearly $7 billion to families in compensation – if they would sign the agreement not to sue the airlines or the Israeli airport security firm involved in 9-11 (Huntleigh USA/ICTS). More than 98 percent of the families accepted the money from the Feinberg-managed fund. The amounts of the payments and the amounts paid to Diane Feinberg and the 30 lawyers are not known. The American people deserve to know how the funds were used and who got paid. Diane and Kenneth Feinberg were co-chairmen of the recent General Assembly of the Jewish Federation, which hosted Israeli leaders involved in terrorism. Feinberg’s actions were crucial to removing more than 98 percent of the families from the litigation process. Kenneth Feinberg and Alvin Hellerstein have waged a war of attrition against the 9-11 relatives. 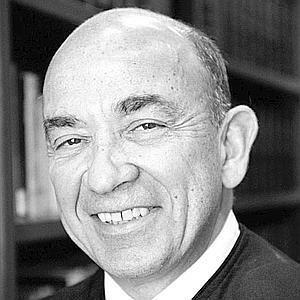 Of the thousands of families that could have used the courts to find justice and legal discovery for what happened on 9-11, Feinberg was successful in removing 98 percent. Of the 96 families that chose to go to court, all but one or two cases have settled out of court after enduring years of obstruction in the court of Alvin K. Hellerstein. Thanks to Feinberg and Hellerstein there may never be a trial for a single victim of 9-11. Alvin K. Hellerstein has obstructed justice for the 9-11 families who chose to use the courts rather than take the fund – or the Prozac. Kenneth Feinberg is known for wearing expensive Brioni suits, smoking Cuban cigars, and driving his black Jaguar to his home in Bethesda, Maryland, where he has avoided paying taxes thanks to a few legal loopholes he knows about. Kenneth Feinberg was the co-chair (along with his wife) of a recent Zionist event in which Prime Minister Benjamin Netanyahu and Defense Minister Ehud Barak, two prime suspects in the Israeli terrorism of 9-11, participated. Feinberg’s role in covering up the truth about 9-11 is connected to his relationship to the state of Israel. Kenneth Feinberg wasn’t working pro bono on the 9-11 victims fund out of compassion for the victims of 9-11, or for America. He was doing it to serve Israel and the murderous Mossad. A fair number of good questions come through Feedback to Bollyn.com (and email) which are likely to be of interest to other readers, so I have created this Q&A forum. The first question explains why this forum is needed. Hi Chris, I will only send this confirmation e-mail to see if this is really you or some automated computer or a business that replies to emails for you. I’m just a fan, I’ve read some of your stories and I’m hungry for more! But, can i ask you a question? Answer: Yes. I welcome questions and will answer them on this forum. I can’t respond to all email questions directly but will use this forum to post those that are of interest. Have you heard that it is very possible that Dr. Steven Jones and his nano-thermite theory could very well be misleading the 9/11 Truth Movement down a false path? Dr. Judy Wood theorizes that a Directed Energy Weapon was used to turn the steel into dust. Her theory is very compelling, and this could very well explain why Steven Jones has gotten so far with his nano-thermite theory. Answer: Yes, I have heard about that theory. I was probably the first person to have written about this «theory» of a directed energy beam being involved in 9-11 after having an interview with a «former» spy from East Germany, who admitted to having worked with the Mossad. The evidence, however, of nano-thermite in the dust of the World Trade Center is solid proof that this advanced nano-composite explosive was used to pulverize the towers. This is not to say that other explosives were not used, such as cutter charges on the central columns or huge bombs in the basements of the towers. As Dr. Jones would say, the data doesn’t lie. The theory of an energy weapon being used to demolish the towers is not supported by the evidence. Bollyn Responds: Yes, I am fine. I have been busy doing the final editing of the first 14 chapters of my book, Solving 9-11 – The Deception that Changed the World. I did this and printed out the chapters for a supporter in Canada who requested a copy of the book. This took some time away from the article that I am working on, which is about Kenneth Feinberg, the Special Master of the 9-11 Victims Compensation Fund. It will come as no surprise that Kenneth Feinberg is a high-level agent of the Israeli government and the Mossad. This article involved quite a bit of research but I hope to have it published in the coming days. 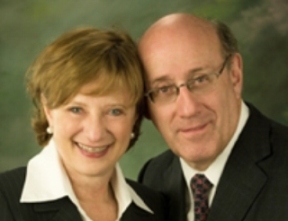 9-11 Special Master Kenneth Feinberg and his wife Diane «Dede» Shaff Feinberg are high-level agents of the state of Israel. Feinberg and his law firm was given an open account from the U.S. Treasury and doled out billions of U.S. taxpayer dollars – without any oversight or accountability – to the families of 9-11 victims to keep them from seeking justice and discovery through the courts. Some 98 percent of the 9-11 families took the money from the fund. Who got how much and who all got paid in the process is a closely guarded secret. Why? The 9-11 Victims Compensation Fund is U.S. taxpayer money after all. We have every right to see how it was disbursed. The same law that created the 9-11 Victims Compensation Fund also stipulated that all 9-11 related lawsuits would go through the U.S. District Court of Manhattan, where Alvin K. Hellerstein, an orthodox Jew and devoted supporter of Israel has prevented any case from going to trial. Nearly every single lawsuit concerning a victim of 9-11 has been settled out of court. Thanks to the efforts of the dedicated Zionist team headed by Kenneth Feinberg and Alvin Hellerstein it is very unlikely that there will ever be a 9-11 trial for the worst terror crime in U.S. history. What kind of justice is that? Who are they protecting? I am reading your book, Solving 9/11. Your quote attributed to Menachem Begin «We are the master race» supposedly delivered at a meeting of the Knesset seems far fetched. Did you check the source of that quote? I did a little checking and read that it was invented by Texe Marrs. Do you have any sources for the quote? Thanks, your work is fascinating. – Israeli Prime Minister Menachem Begin, speech to the Knesset, quoted in Amnon Kapeliouk, «Begin and the ‘Beasts,»‘ New Statesman, June 25, 1982. Hello, I am not sure if this goes to Mr. Bollyn or not but I am giving it a shot. I was reading your August 15, 2004 article on depleted uranium and Gulf War Vets. I was a combat engineer during the Gulf War and I wanted to support your article. I am 39 years old and have spent my days since the war in college and now I teach school. I am a non-smoker and live a simple life. In December I was diagnosed with kidney cancer and it spread a bit to the lymphnods. The surgery was hell and now I face a life with cancer. Well thanks for your time and thanks so much for your article on this subject. 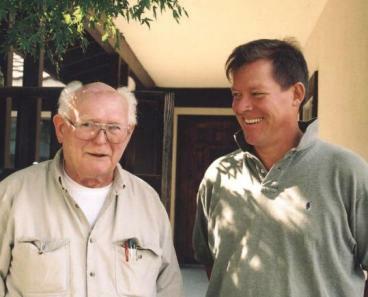 I am filing a claim with the VA.
My research on «depleted» uranium weapons was aided immensely by Marion Fulk of Livermore, California (left). Marion spent most of his working life as a scientist in the employ of the U.S. government, from the Manhattan Project to Livermore Lab. Now retired, Fulk said he wanted to help inform the public of the long-term damage to human health caused by the use of uranium-tipped weapons. Do you post or send articles to Rense and Jones? Did look, can’t find much recent. Can’t even say in words how much I appreciate such extremely rare honest reporting in these dangerous times! Suggestion: Times are tough–can you add a $5 button to the array of PayPal buttons for donations, since even $10 might be too out of reach for some? Answer: Yes, I will do that. Re the black box on Flight 77 shows «cabin doors not open» means nothing since there was no evidence that a Boeing 757 crashed into the Pentagon. There was no released video of Pentagon crash. No recognizable Boeing 757 parts, the penetration of the walls was too deep and too narrow for a 757, no wing or engine marks on building, etc. So, why do you think this story is special? Just curious? Bollyn’s Response: You are quite right. There is no evidence that a Boeing 757 hit the Pentagon nor do I think that one did crash into the building. We don’t know where this black box of Flight 77 really came from but the story is about an independent investigation of the data on the box that is said to be from Flight 77. It is just another small piece of the puzzle showing the massive deception of 9-11. NB: Du bør bruke bit.ly/bollyn for å laste ned e-boken direkte, uten torrent. The world is now officially an absurd and burlesque Monty Python parody. Instead of going after those who evidently planned and orchestrated the 9/11 demolitions and atrocities, Zionist warmonger president Obama carries forth war criminal George W. Bush’s illegal and unprovoked wars of aggression in Afghanistan, Pakistan and Iraq, and is funding terrorist attacks inside Iran. This war criminal is NOT welcome in Oslo, and he certainly doesn’t deserve a Peace Prize. 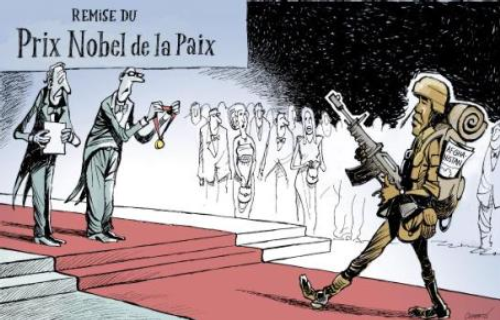 As a warring nation in the criminal Afghan war, Norway also has no business handing out Peace Prizes. A charade and an absurd theatre is what this is, and I’m thoroughly sickened and ashamed of being a Norwegian today. My deepfelt apologies go out to the millions of Afghan, Iraqi, Pakistani and Palestinian families who have lost their loved ones in Obama’s and his predecessor’s illegal wars. Norway is now officially a Zionist nation of war. In no way is it a peaceful nation. This is a very sad day indeed for those in Norway still prevailing in our hopes and visions for a world without war and for a world of cooperation, able to face the immense challenges of this 21st century. As members of the Anti-Fascist resistance we have a long way to go, but we will and must walk this path and go all the way. Here are my pictures from the notorious liar and criminal gangster president’s arrival at the government building in downtown Oslo this morning, with low-flying army helicopters circling constantly in the air. Feel free to use them as you wish, as long as you credit Torstein Viddal and include a link to this blog post. Tegningen er laget av Patrick Chappatte fra Geneve-avisen Le Temps. Overskriften er lånt fra Christopher Bollyn, forfatter av 9/11-koden, en 557-siders PDF-bok som du kan laste ned gratis her. Arbeidet med denne boken startet for min del for ganske nøyaktig et halvår siden, da jeg på Lillehammer bibliotek fikk mail fra Christopher Bollyn med de første kapitlene av Solving 9/11. Jeg lå i telt i skogen rett over Bankgata under litteraturfestivalen der i mai. På dagtid var jeg nedom sentrum for å dele ut flyers for lørdagen. Litteraturfestivalens tema var «Sannhet», og 9/11 Truth Norge hadde invitert professor Niels Harrit, nanokjemiker ved Københavns Universitet, til å komme og holde foredrag om sprengningen av World Trade Center 7 og funnet av sprengstoffet nanotermitt i støvet på Manhattan. 3000 dager etter den 11. september 2001 er massemedia såvidt begynt å snuse på saken. De har ment og ment og ment i åtte år at det måtte være Osama bin Laden og al-Qaida som konspirerte for å ramme New York og Pentagon. Bevisene peker imidlertid i en litt annen retning. Kan det ha vært Ehud Barak og Mossad som sto bak historiens grusomste terrorhandling? Christopher Bollyn stiller i alle fall spørsmålet, og fremlegger et hav av indisier for at planene ble klekket ut i Israel. Bollyn var blant de aller første som begynte å gå 9/11 nærmere etter i sømmene, og hans grundighet, utholdenhet og ståpåvilje er det bare å ta av seg hatten for. Idag lever Chicago-mannen Bollyn, som også har studert ved Universitetet i Bergen, som politisk flyktning i Estland, sammen med kone og barn. La oss håpe det ikke blir så lenge til de kan vende tilbake til hjemlandet. For oss aktivister som ønsker oss en bedre verden, startet 00-tallet, tiåret vi nå snart har lagt bak oss, med Seattle-opptøyene den 30. november 1999. Det var her folk klarte å stenge et WTO-toppmøte for første gang, og det var også her aktivistnettverket Indymedia ble født. Slagordet dengang var «Don’t hate the media – become the media». I lys av de 3000 dagene som nå er gått siden 9/11, der massemedia bare har overgått hverandre i oppgulp av George W. Bushs gamle konspirasjonsteorier, og i hån og forakt mot alle som våget å stille kritiske spørsmål, er det åpenbart at det gamle aktivistslagordet må revurderes. Vi bør forakte og avsky massemedier som ikke tør grave i århundrets største skandale. Og vi kan ikke lenger overlate centercourten og samfunnsdebatten til de største løgnerne blant oss. Vi må slutte å narre oss selv med at vi har ytringsfrihet på de mange bittesmå bloggene våre, og forlange pressedekning av viktige saker. Når WTO har åpnet sitt Geneve-møte på tiårsdagen for Seattle, og når aktivistene litt senere og litt lenger nord blir bøtelagt og fengslet under Klimatoppmøtet i København, er det aktivistiske 00-tallet over. Både 9/11 og sannhetsbevegelsen har i stor grad satt sitt preg på det, men den revolusjonære avsløringen og endringen kommer nok først på 10-tallet. Mediene har all grunn til å skamme seg over dette.